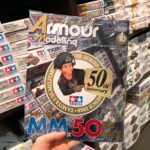 Topic “Armor Modeling” MM 50 anniversary special issue, arrived at the store Tamiya Shimbashi Plamodel Factory Store. This issue with plenty of readiness is indeed a preserved version! They also have a mini corner at the shop. 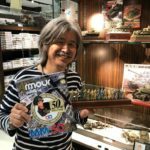 Mr. Yasumasa Matsui’s editing “Takeshi Makoto’s History of MM figures” produced by Mr. Takuya Kaneko had it! This is also being exhibited. 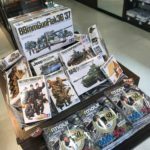 This entry was posted in Media on September 13, 2018 by admin.